When it comes to our Vancouver BMW repairs and servicing, there is no lip service - just action. Bimmer Haus is committed to providing our valued Greater Vancouver BMW customers with friendly, professional and personalized service. 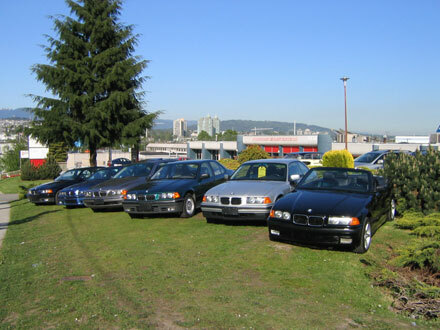 Our collective BMW experience makes us a preferred choice amongst our Vancouver clients. Education plays an important role in the automotive industry, and we are continuously improving upon our knowledgebase. As new cars become increasingly more complex, the need for a complete, comprehensive automotive library becomes a necessity. We use electronic catalogues, electrical trouble-shooting manuals, factory service bulletins and other media as they become available. In addition to education, having the right tools for the job is a must. Bimmer Haus continuously upgrades its equipment and tools, so we can look after any of your late model BMW's needs. At the same time, we have all of the necessary specialty automotive tools to care for your Vancouver BMW classics and collectables as well. Give us a call today at 604.215.5555!